Please note all of our instructors are certified by the Yoga Centre Winnipeg or currently enrolled in the Yoga Centre Winnipeg’s Teacher Training Program to ensure compatibility, continuity and competence in instruction. co-owner of the Yoga Centre Winnipeg, has studied Iyengar yoga with a variety of teachers including Donald Moyer, Father Joe Pereira. Also versed in other methods, Jan has studied with Francisco Kaiut, Sandra Sabatini, and is a certified Vinyasa teacher, receiving her training from the White Lotus Foundation. 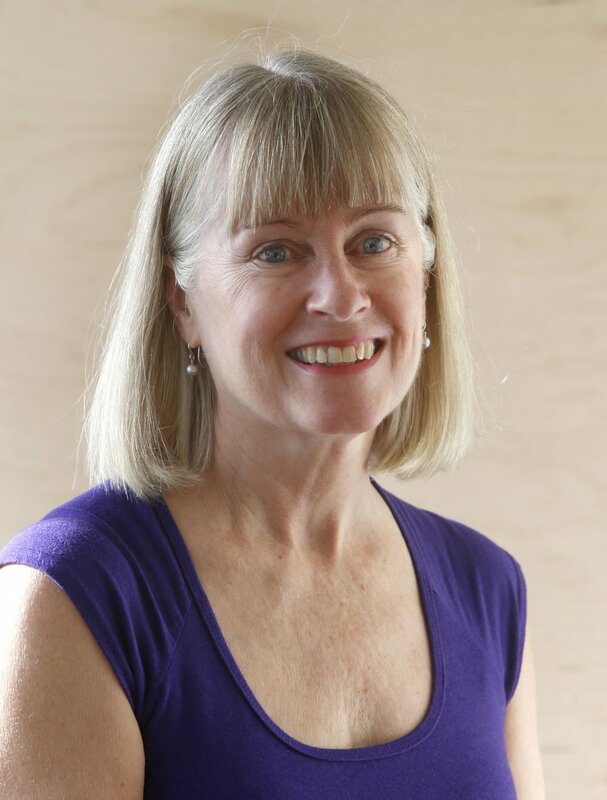 As well as teaching classes that range from beginner to advanced, Jan currently directs the Yoga Centre Winnipeg’s Advanced Teacher Training program. Jan also oversees a yearlong mentor-ship program known as “Cultivating the Seeds of the Divine” As someone who truly lives the practice, Jan’s dedication to asana and meditation shines through as she guides students with insight, knowledge, and caring to explore the joy of yoga. Graduate-Yoga Room, Berkley CA: Advanced Studies 500 Hours. co-owner of the Yoga Centre Winnipeg, has studied yoga with a variety of teachers including Donald Moyer, Sandra Sabatini, Francisco Kaiut and Father Joe Pereira. In addition Shauna is a certified Kripalu teacher, receiving her training from the Kripalu Centre in Massachusetts. Shauna’s playful loving approach to her own yoga practice inspires her students to tread lightly in all areas of their life, on the mat as well as off. Shauna Currently leads the YCW teacher Training Program. In addition to yoga asana classes, Shauna also offers meditation classes. Her meditation class style is inclusive and offers an approach that is available to one and all. a long time student and teacher at the Yoga Centre Winnipeg, Candace brings 23 years as a teacher in the public school system with her into the yoga room. Candace’s classes focus on detailed instruction, alignment and enhancing body/mind awareness. YCW Advanced Certification (500 hours), 2011.
happily traveled the first half of her life as a dancer, wife, mother and (elated) grandmother. Now retired from 30 years’ service within the non-profit housing community, happily exploring the second half of life through yoga practice, meditation and community. is currently a physical education teacher, Darlene brings her more than 20 years’ experience as a fitness leader into the yoga community. YCW Advanced Certification (500 hours), 2012.
in addition to 20 years as a Montessori teacher specializing in music and art, Kathy is also a former fitness instructor who came to yoga after knee problems stopped her from running. Kathy’s love of teaching yoga and learning new things is evident in her ability to inspire others to grow and learn about themselves through the practice of yoga. YCW Advanced Certification (500 hours), 2013. Her down to earth nature lends itself to a teaching style that is practical, approachable, and dynamic. Nancy draws on her years of experience leading fitness classes and combines that with her love of yoga. YCW Advanced Certified (500 hours), 2014.
has a background teaching both gymnastics and dance. She particularly enjoys how teaching yoga nourishes her sense of community. Heather’s yoga classes are inspired by her caring nature and her love of life. Larry Isacoff has worked for 30 years in the theatre industry as a lighting designer and production manager. Larry has passionately embraced yoga as a second career and a renewed life practice since 2010. Larry specializes in teaching classes that respect the individual needs of students, using props alignment, and compassion to meet each person where they are. Larry’s classes are joyful and provoke mindful awareness. holds a BA Honours Dance and degree in Politics. Krista traveled to Byron Bay Australia to take her yoga training in January 2012. Krista relishes sharing her love of yoga with all of its joys, challenges, benefits for the mind, body and soul! Blair Jensen is a dedicated student and teacher of the art and practice of yoga and meditation. His love and enthusiasm for his own personal practice comes through in his presence and teachings. In his meditation classes he helps guide students in finding comfort, peace and their own loving presence within themselves. Blair is currently completing his YCW 200hr Teacher Training.